Miami Dolphins running back Jay Ajayi became the first National Football League player with his own global hashtag-triggered emoji. The Dolphins “host” the New Orleans Saints in London Sunday, marking a homecoming of sorts for London-born Ajayi. 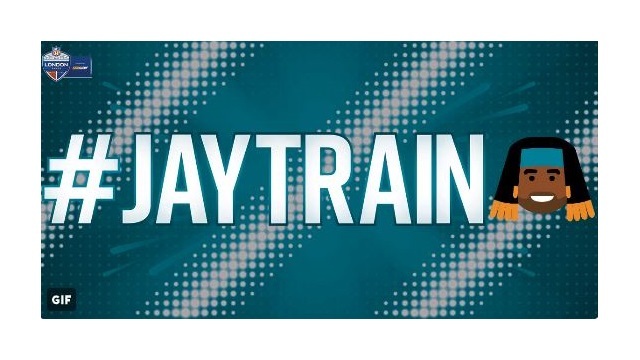 Including the hashtag #JayTrain in tweets will trigger a special emoji depicting Ajayi, who has nearly 65,000 followers on the social network and was the second-most-mentioned fantasy football selection. The hashtag #NFLUK will trigger its own emoji, picturing a football-shaped British flag.